Having a wide Range of Heat Pumps suitable for 15,000 liters private pools to 80,000 liters Olympic size pools, Lombardy caters to all requirements and needs in the field of Swimming Pool Heating system. Installation is Ultra Easy and no need for any breakage in the pool. Running cost is very negligible compared to the comfort you will get having a warm pool. The totally Automatic system will automatically monitor and maintain the pool temperature you desire. After sales service is prompt and accurate because all systems are manufactured in India. Less costly than imported products as it is MANUFACTURED IN INDIA. Machines can be repaired on site also. Ready engineers available for quick service. All technical know-how directly passed from Manufacturer to Customer. Our heat humps have a c.o.p of 8 times the input load. After sales services are available all over India within 24-48 hours as 5 engineers are allocated for after sales service only. All parts are readily available in all cities in India. Product ranges from 15kw to 350kw heat output. We are offering 25000 Litres Swimming Pool Heat Pump to our clients. We are Supplier & Manufacturer of 15000 Liters Swimming Pool Heat Pump. Lombardyne is well known in the market for manufacturing brand for 5000 Litres Swimming Pool Heating Pump. Design, Fabrication, Assembly, Testing and commissioning of all units are done under one roof. Our heat pumps are specially used to heat up the cold water of the pool to the desired temperature required. Our heat pumps are designed to save up to 80% of running cost compared to any conventional heating equipment. Quality and reliability is our main feature in all our products. Robust and reliable brand trusted in the market. 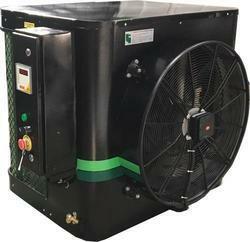 We are leading manufacturer and supplier of 55000 Litres Swimming Pool Heat Pump. The water drawn from the pool passes through a filter and the heat pump heater. They help in maintaining a comfortable soothing temperature of the swimming pool. These also allow maximising usage and utilization of pool. 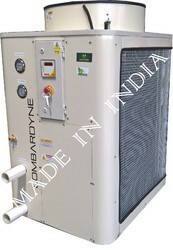 We are leading manufacturer and supplier of 80000 Litres Swimming Pool Heat Pump from India, Pune. The water drawn from the pool passes through a filter and the heat pump heater. They help in maintaining a comfortable soothing temperature of the swimming pool. These also allow maximising usage and utilization of pool. Looking for Swimming Pool Heat Pump ?